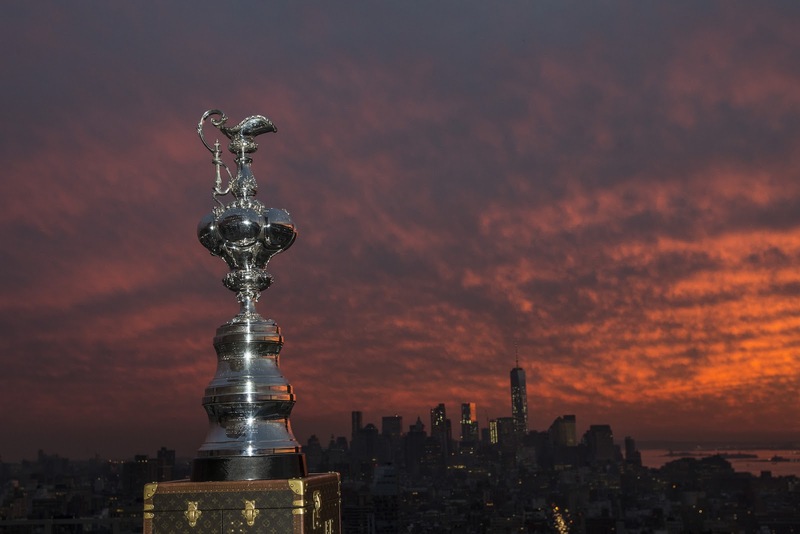 America’s Cup racing will return to New York for the first time since 1920 with Louis Vuitton America’s Cup World Series racing on May 7-8, 2016. The New York event is one of six events planned during 2016, each featuring thrilling, high-speed competition, as six America’s Cup teams, with the top sailors in the world, vie for points that count towards the final competition for the 35th America’s Cup in 2017. This year, Emirates Team New Zealand’s star helmsman, Peter Burling, the youngest in the fleet, led his team to the top of the standings over current America’s Cup champion Jimmy Spithill’s ORACLE TEAM USA, and the highly touted Land Rover BAR team led by Olympic hero Ben Ainslie. But the competition was close. In fact, the opening three Louis Vuitton America’s Cup World Series events in 2015 featured three different event winners, and four different individual race winners. The 2016 calendar promises more hard-fought racing on the foiling AC45F catamarans that fly above the water. “Everyone is going to want to start the New Year off well,” said ORACLE TEAM USA skipper Jimmy Spithill. “But all the other teams have been out training with the same goal in mind, so nothing will come easy this year. Practice racing in New York is on May 6, with point-scoring races on the weekend of May 7-8. Two additional Louis Vuitton America’s Cup World Series events are anticipated to complete the calendar, likely in Europe in mid-September and in Asia in mid-November. “With six events around the world in 2016 our fans will have more opportunities to enjoy America’s Cup racing and follow their favorite teams and sailors as we build towards the finals in Bermuda in 2017,” said Harvey Schiller, the Commercial Commissioner of the America’s Cup. The New York event is an historic milestone of sorts. 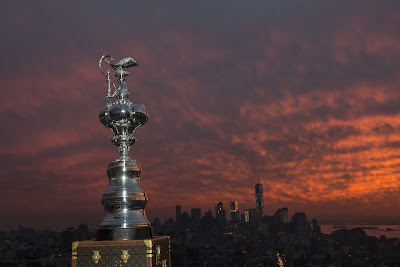 America’s Cup racing was held in New York harbor and environs for 50 years, representing the first 13 challenges for the oldest trophy in international sport. From 1870 through 1920 racing took place off New York. Beginning in 1930, the competition was moved to Newport, Rhode Island, where it remained until the United States finally lost the Cup in 1983, ending the longest winning streak in sport. Since that time, racing for the America’s Cup has taken place in Perth (Australia); San Diego (USA); Auckland (New Zealand); Valencia (Spain); and San Francisco (USA). In May/June 2017, the next America’s Cup will be raced for in Bermuda.